The European Medicines Agency (EMA) organised a workshop on “personalised medicine” for patients and healthcare professionals on March 14, 2017. This workshop aimed at providing patients and healthcare professionals a clear picture of what this type of medicine entails, respond to questions and hear participants’ ideas on how this topic could be best further disseminated. During the workshop, personalised medicine was defined as “using the person’s genotypes and phenotypes for tailoring the right therapeutic strategy at the right time, and/ or to determine the predisposition to disease and/ or to deliver timely and targeted prevention”. What personalised medicine does, in fact, is place the patient at the centre and build healthcare delivery around him or hem. There are currently several initiatives that aim at developing this further, amongst which US “Precision Medicine Initiative” and the European Commission’s ICperMED. Personalised medicine is not an abstract or futuristic concept and it has already provided good and concrete outcomes, such as the development of a gene therapy for SCID-ADA patients that has been approved at European level, Strimvelis. On March 15, 2017, the EMA held its joint meeting with patients and healthcare professionals. The meeting started with an update on what the Agency is doing in terms of getting prepared for when Brexit becomes a reality. It was impressive to see all the preparatory work and the contingency plan the staff at the EMA elaborated to ensure a smooth running of the central authorisation of medicines in the European Union. There was also a presentation about the Antibiotic Awareness Day, a yearly event taking place on November 18, that seeks to increase awareness about responsible use of prescribed antibiotics. Last data shows that an undue use of antibiotics (not being prescribed by the doctor, used in case of cold or flu) can cause the bacteria to become resistant against future treatments. 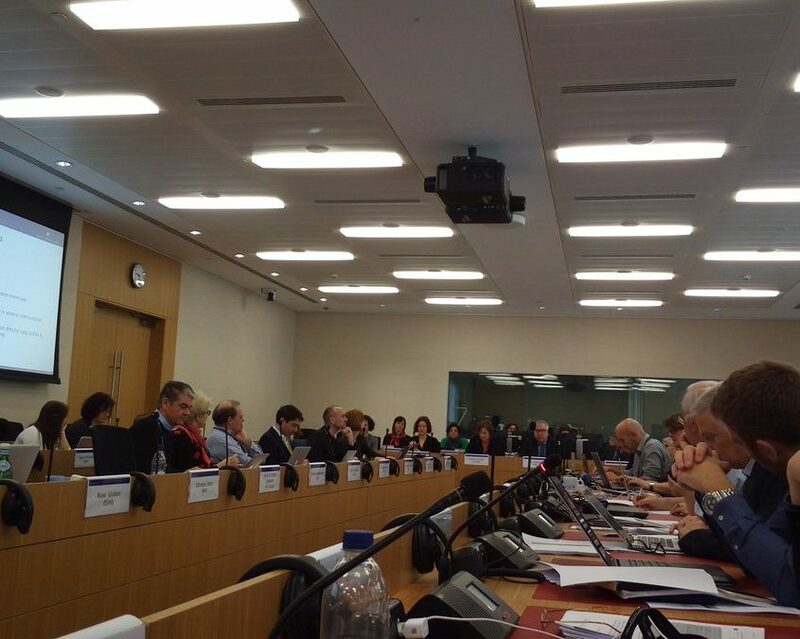 Many other topics were discussed, such as biosimilars, the work that the different EMA committees are currently doing, the pilot of involving patients in the assessment of medicines scrutinised by the Medicinal Products for Human Use working party at the EMA. A full list of items can be accessed here and should you wish further information, please contact me at leire@ipopi.org.